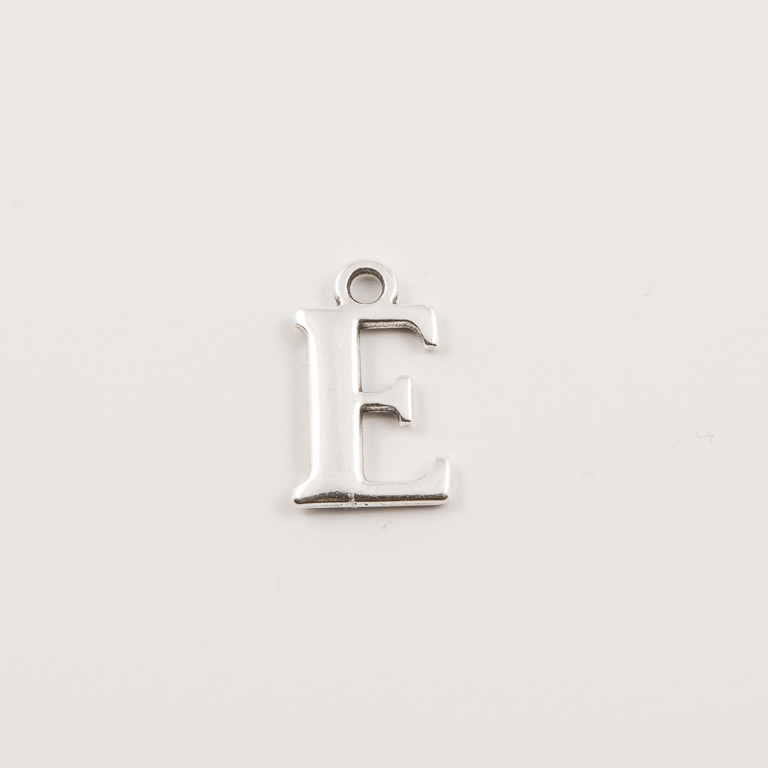 Metal initial "E" pendant in silver color. Ideal for necklace. Dimensions 1.5x1cm.